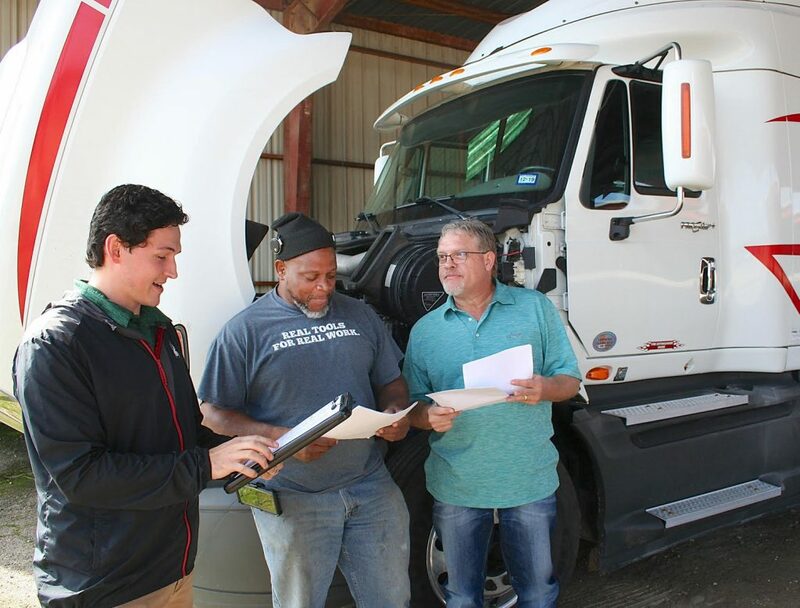 A truck driving school has been added to the workforce training program at the PJC-Sulphur Springs Center campus. The class, being taught by Bryce Walker (left), began classroom instruction last week and will start driver training this week. Two of the students, Larry McGill, center, and Mark Morton, review some rules with Walker during a recent class. For more information about the program, call the campus at 903-885-1232.